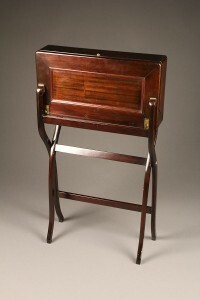 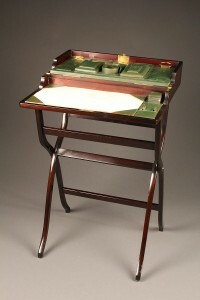 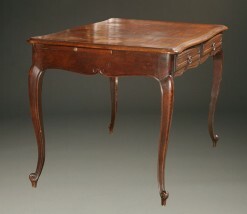 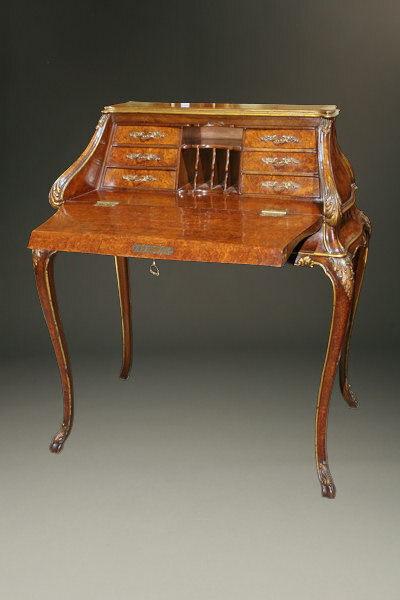 Late 19th century Italian bombe ladies writing desk.Late 19th century Italian bombe ladies writing desk. 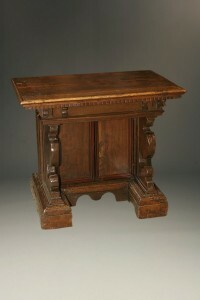 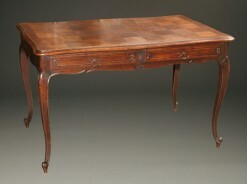 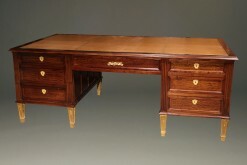 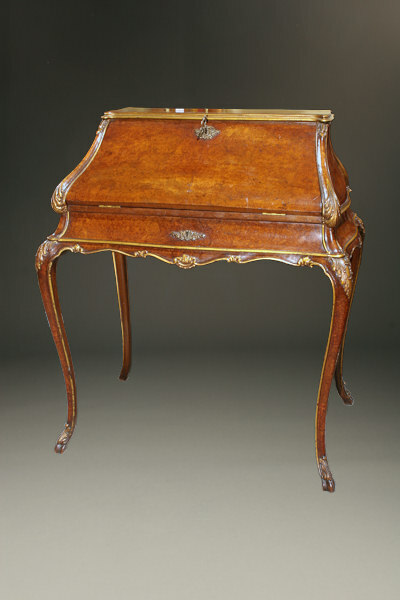 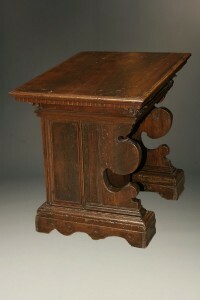 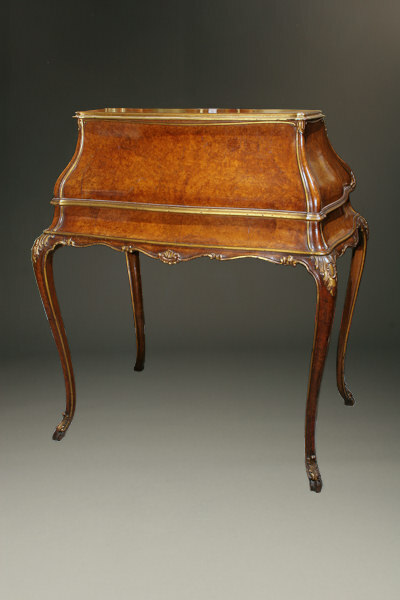 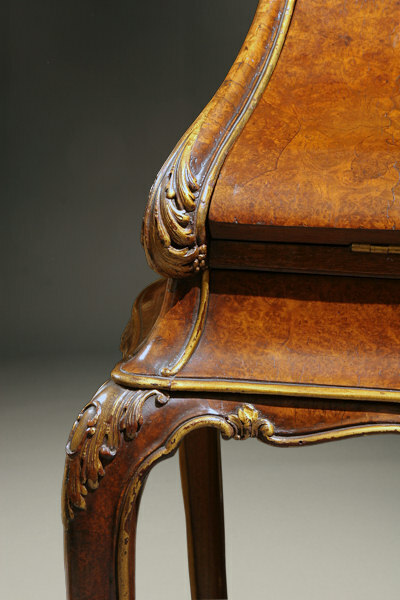 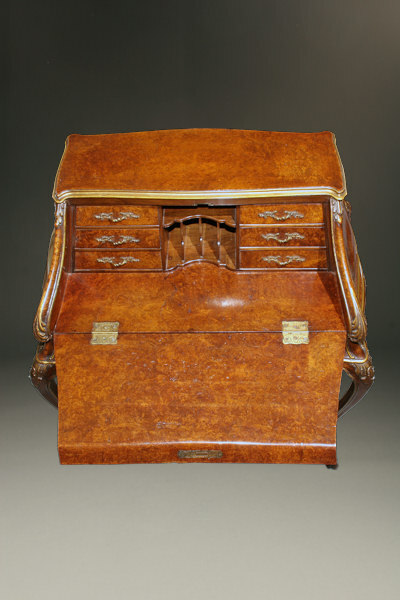 Late 19th century Italian bombe ladies writing desk in burl walnut, circa 1890-1900. 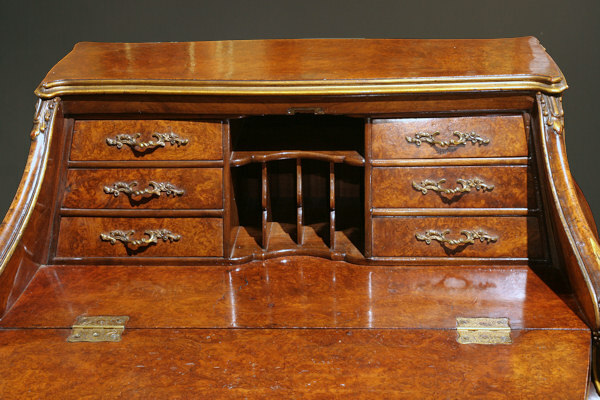 When the desk is open the piece is 35.5″ deep. 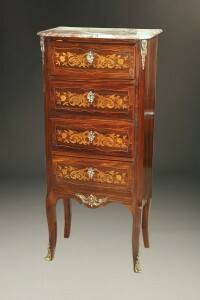 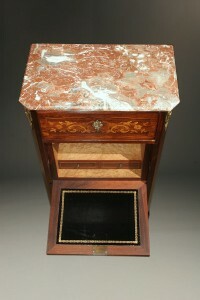 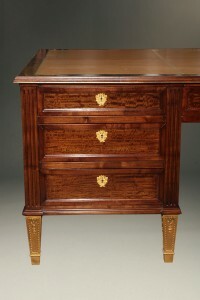 19th century French Louis XV style dresser/desk with marble top.